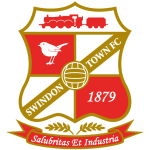 Swindon vs Lincoln City predictions for Saturday’s League 2 clash at County Ground. Lincoln look to extend their lead at the top of League 2 when they face Swindon on Saturday. Read on for all our free predictions and betting tips. Swindon Town managed to put an end to their 5 match winless streak last weekend when they came from a goal behind to score a late winner at Macclesfield, providing a bit of light after the gloom of a 2-0 loss at home to Exeter City on New Year’s Day. This pushes The Robins up to 12th in the table, and with just 7 points separating them from the playoff zone they are still in with a slim chance of making a push for the top 7. However, most of the teams above them have games in hand as well, so it will take an excellent run of form from them if they are to make that challenge. A hosting of League 2 leaders Lincoln City isn’t the best match to try and pick up some momentum either. The visitors fought bravely in their 2-1 loss to Everton in the FA Cup last weekend, and that performance is likely to inspire confidence in the squad, despite the defeat. The Red Imps, despite having 2 games in hand over many teams in League 2, remain at the top of the table. They have a 4 point cushion on 2nd place and a 6 point gap before they drop out of the automatic qualification spots. In the league, Lincoln City have lost just 1 of their last 9 matches home and away, winning 5 times in the process. However, away from home things are a little more tricky for them. 3 of their 4 league defeats this season have come on the road, and they have only won 3 of their last 7 trips away. Fortunately for them, Swindon aren’t exactly in fine form at County Ground. They have won a measly 2 of their last 11 home League 2 games, although with 5 draws during this run as well, they certainly won’t be an easy side to beat. In fact, what we’re likely to see on Saturday is a cagey and scrappy affair. Swindon have scored just 6 goals in their last 9 home games and have seen fewer than 3 goals in 6 of them as well. 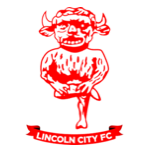 Meanwhile, Lincoln City have seen fewer than 3 goals in 5 of their last 9 away days, so backing Under 2.5 Goals here looks a good option along with a tight 1-1 correct score predictions. Swindon have scored just 6 goals in their last 9 home League 2 games, failing to find the net in in 6 of these matches. Lincoln City have seen fewer than 3 goals in 5 of their last 9 away days in League 2. Meanwhile, Swindon have seen fewer than 3 goals in 6 of their last 9 league games at County Ground.